Let’s use the coordinate plane to solve problems and puzzles. Is your figure a polygon? Explain how you know. Here are the coordinates for four polygons. Move the slider to choose the polygon you want to plot. 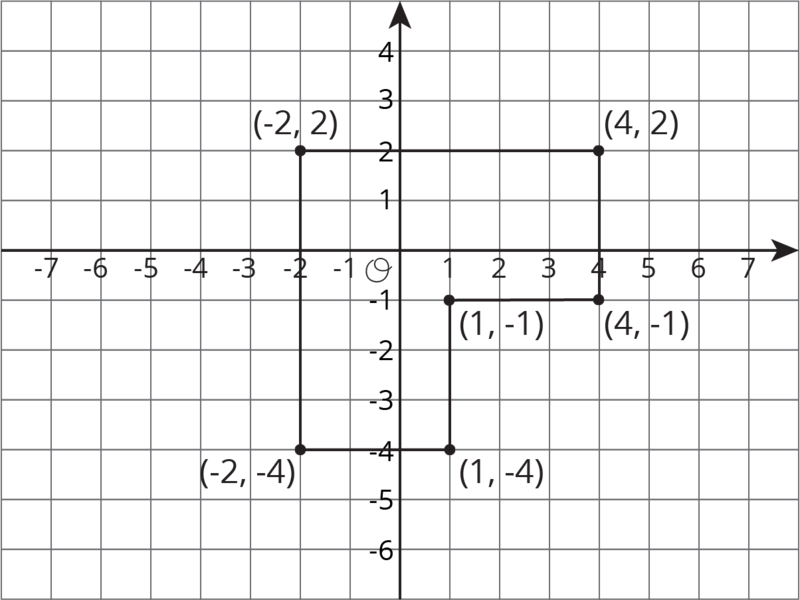 Move the points, in order, to their locations on the coordinate plane. Sketch each one before changing the slider. Find the area of Polygon D in this activity. 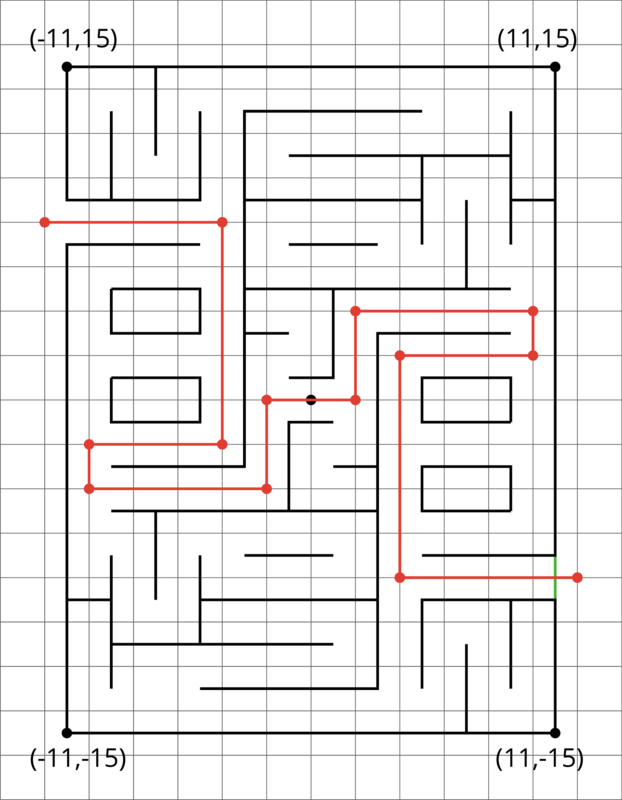 The following diagram shows Andre’s route through a maze. He started from the lower right entrance. What are the coordinates of the first two and the last two points of his route? How far did he walk from his starting point to his ending point? Show how you know. Jada went into the maze and stopped at $(\text-7, 2)$. Plot that point and other points that would lead her out of the maze (through the exit on the upper left side). How far from $(\text-7, 2)$ must she walk to exit the maze? Show how you know. We can use coordinates to find lengths of segments in the coordinate plane. For example, we can find the perimeter of this polygon by finding the sum of its side lengths. Starting from $(\text-2, 2)$ and moving clockwise, we can see that the lengths of the segments are 6, 3, 3, 3, 3, and 6 units. The perimeter is therefore 24 units. If two points have the same $x$-coordinate, they will be on the same vertical line, and we can find the distance between them. If two points have the same $y$-coordinate, they will be on the same horizontal line, and we can find the distance between them.